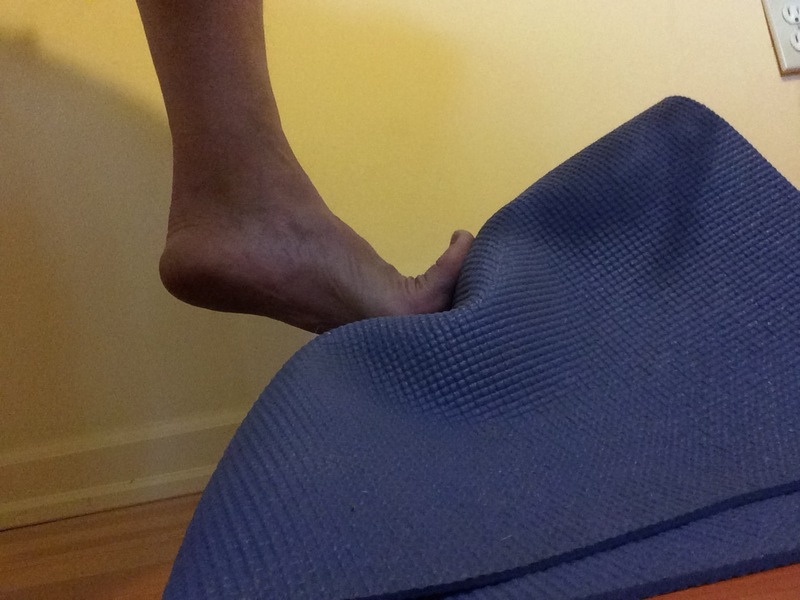 It is promoted as an exercise to “strengthen toes and prevent foot discomfort.” While I think it has merit as a foot mobilizer, I’m not convinced that adaptive changes to strength occur because it is a passive exercise, relying on an external force – the floor – rather than an internal force – your muscles – to perform. So, in addition to performing this exercise against the floor, I think you could move through these same positions, but dangling your foot just above the floor so that you are stretching and generating force in both your intrinsic and extrinsic musculature. In yoga, since we don’t use weights to provide resistance necessary to make strength adaptations to our tissues, we rely on something called maximum voluntary contraction (MVC), which is your maximum ability to contract muscle. Position 1, when done with your foot on the floor, is actually more like the heel off phase of gait, but in this floor-bound exercise, it passively loads your your toes, which is not enough to strengthen them. Alternately, when you dangle your foot, you can maximally contract your toe extensor muscles, making it more of a toe raise as the name implies. 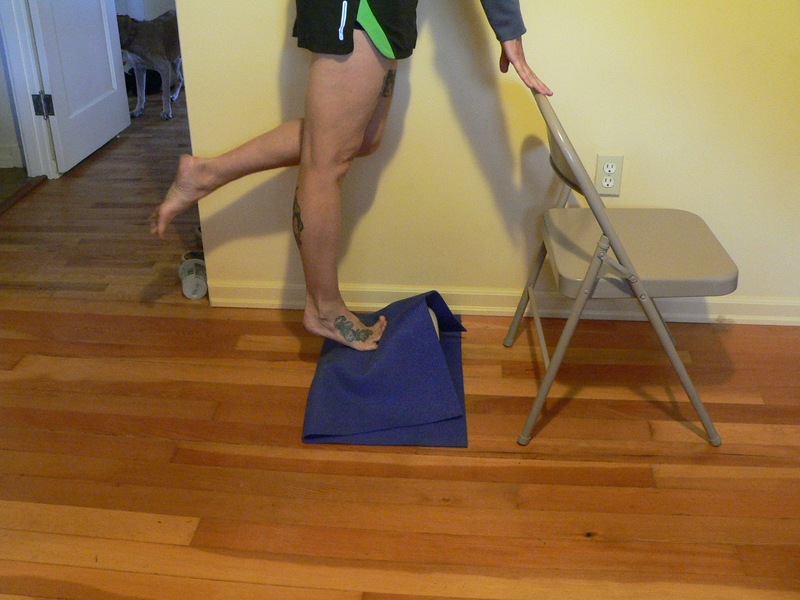 Position 2, when performed against the external force of the floor, is almost all concentric calf contractions without much happening in the toes, because the floor is doing the work of keeping them pointing. However, if you dangle your foot, not only are you still working your calf muscles, but now you must engage your plantar flexors (muscles that engage the sole of your foot) to hold the position and can calibrate the force to ~80% of your MVC, which is the ideal amount of contraction for tissue adaptation. As you can now see, position 3 will also be stronger if you are not flexing your toes against the floor. While it would be possible to grind the top of your foot into the floor as a method of resistance, it would be terribly uncomfortable and that sensation would likely detract you from reaching 80% MVC. 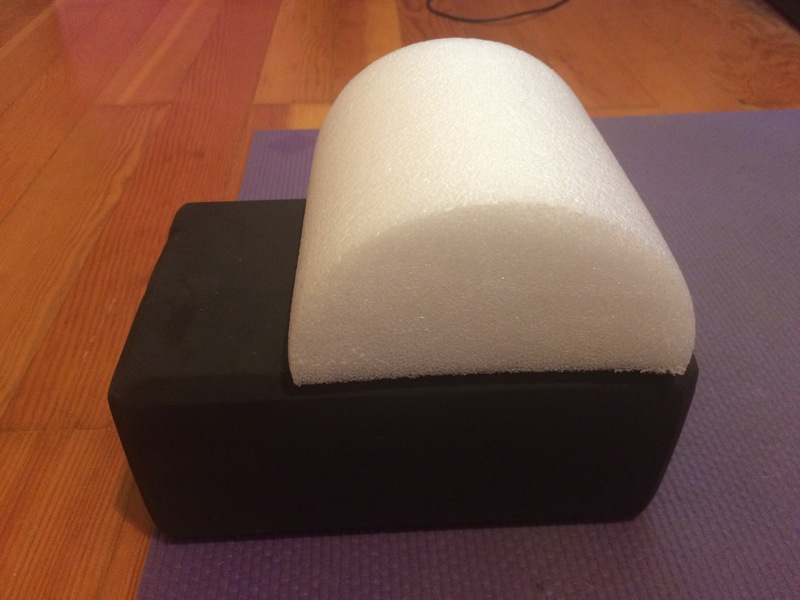 I’ve come up with two variations of the more active exercise – standing on the floor with the knee of my working foot bent; and standing on a yoga block with the knee of my working foot straight. My preference is the latter because it encourages me to pelvic list on the standing leg in order for the working foot to clear the floor. But I think either method would be fine. Here is a video of the passive and active variations of this exercise.